This is an unusual but sweet story that is aimed at younger readers and looks at the relationship between a young girl, her strange friends and her less-than-orthodox living conditions. Not only is Magrit self-sufficient and kind, she is also an interesting role-model. She knows that she has her flaws, she fears certain places in the cemetery (the reasons of which come to light later in the novel) and she is wary of attracting attention from the people in the buildings surrounding her, yet she is still able to remain calm, logical and caring while looking after her newfound charge. She takes on the role of educator, teaching him everything that she has learnt herself, and advising him on the best ways to survive the conditions they live in. In turn, she finds herself learning from him, as he inadvertently teaches her about herself and what she is capable of. This novel (were it to be adapted to a film version) would suit the talents of a director like Tim Burton. The story has the same quirky formula that he excels at producing on screen, and there’s no doubt he would do the characters justice in their portrayal (especially in the case of Master Puppet). 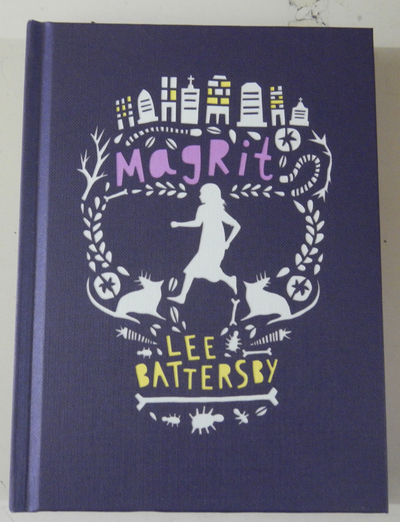 Featuring illustrations by Amy Daoud, Magrit is a slightly odd little novel that most younger readers will enjoy. There is a small twist towards the end (that most readers will pick up on beforehand) but this only adds to the charm of this unusual tale.